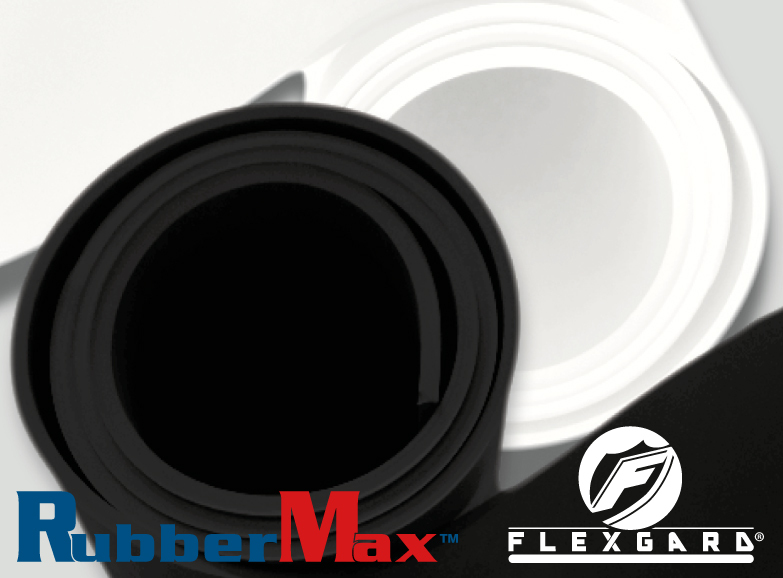 RM Biltrite™ Flexgard® and RubberMax™ Nitrile Rubber, also known as NBR, Buna-N, and acrylonitrile butadiene rubber, is a synthetic rubber copolymer of acrylonitrile (ACN) and butadiene. It has generally strong resistance to oil, fuel, petroleum based hydraulic fluids, aliphatic hydrocarbons, and hydrocarbon solvents, as well as alkalis, acids, and other chemicals. Like natural rubber, nitrile can be damaged by ozone, ketones, esters and aldehydes. It is more resistant than natural rubber to oils and acids, and has superior strength, but inferior flexibility. Nitrile rubber is less likely to cause an allergic reaction than natural rubber. Available in black and white.